Home » Family Life » Circle Time Songs That Make Preschool Rock! Circle Time Songs That Make Preschool Rock! When I was teaching Special Education preschool, circle time songs were my life. They were the heart of my classroom and the part of our routine that we all looked forward to each day. Now that I’m working at home with my own preschool child, the same preschool songs have had a big impact in our home! This post is sponsored by Kindercare. As a teacher, I had children of all ability and developmental levels come into my classroom. It was part of my life and what made our classroom into a family. I was used to working with other people’s children and guiding them through the early education years. When it came to my own children, it was a little different. I was invested in a different way. It was almost hard to let them walk into their classrooms without me. Early childhood education is very important to me because of my education background. I wanted my children to be ready for the years of education they had in their future. 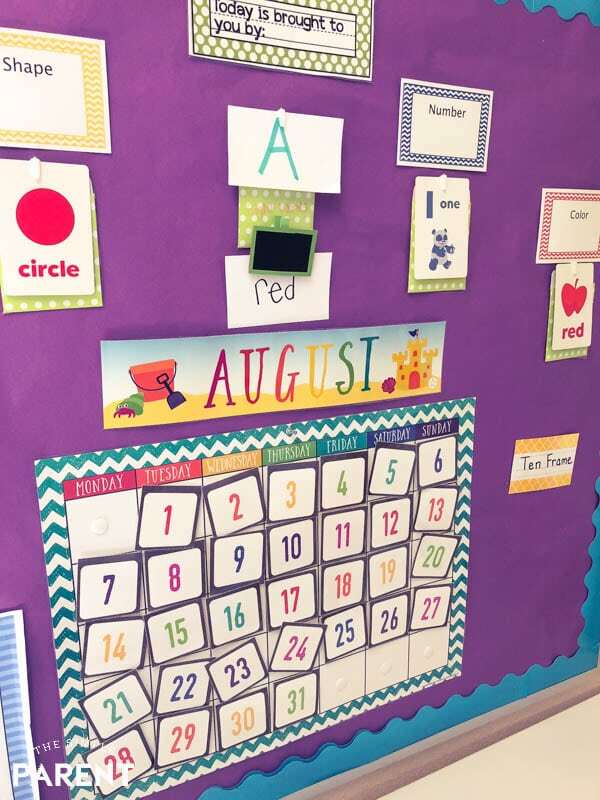 My kids have always been where they need to be when it comes to things like letter identification, counting (they both love math), and other basic academic skills. 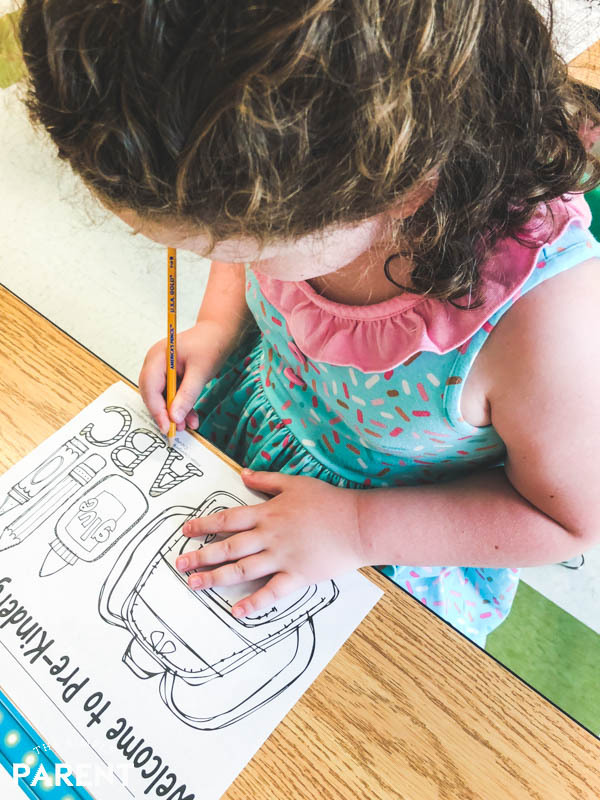 As Carrigan begins her final year of preschool, she’s doing great. One area of weakness she has is her speech. She has an amazing vocabulary but there are still some articulation issues. This is where music has become a huge help for us in her education. Circle time songs are great for learning and classroom management in early education but they’re also amazing to use at home if your child has speech issues. Kids all develop at their own pace. Most of our kids will fall into a normal range too despite any differences they may have as they go through school. But the early years are so important that I wanted to do everything I could to support Carrigan. 70% of brain development happens in the first three years of our children’s lives. That is powerful. It’s why it’s been so important to me that my kids have excellent early childhood education. I’m not alone when it comes to her education. I have teachers and experts that can help me figure out what kind of extra help she may need. It was one of her preschool teachers that helped me realize the preschool circle time songs they sang in their class (and that I’d used in my own) were a great way for her to practice with some of her articulation issues. My girl loves music and loves to sing. She would sing all day if she could. 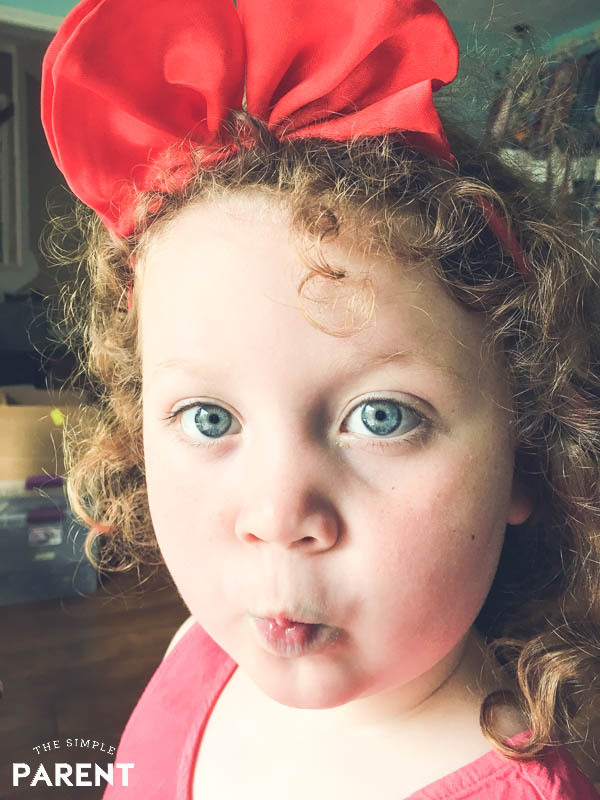 With help from educators that care for her and know her so well, we were able to discover easy ways to help her strengthen her areas of weakness! It was just proof that preschool learning songs aren’t just for the classroom! CIRCLE TIME SONGS THAT WORK FOR HOME TOO! While some Pre-K songs might not be the best fit at home, there are a ton of that don’t have to just stay at the carpet in the classroom! We’ve got a few favorites that we sing all the time here at home. Once she’s in Kindergarten, I know a part of me will definitely miss singing them with her each day. And then be on our way! These are two of our favorite preschool songs that are fun at home and at school! At home they help us start a day in a fun way. At school, they really help build the community in a class of young learners. Music is so important in the lives of children and it’s important to me that my child’s preschool and childcare center uses it in their education. High-quality early education makes a difference! It gives our kids the confidence to succeed in preschool and beyond! I’ve seen it with my own kids! Preschool circle time songs that focus on specific skills or concepts make great songs for home too! Weather songs for kids are a perfect example! We have a few favorites at our house (that even my second grader still loves to sing with us)! Some of the other topics that are fun are shapes and colors. You can find some great circle time songs that will help your kids learn at home too! So don’t be afraid to incorporate music at home! 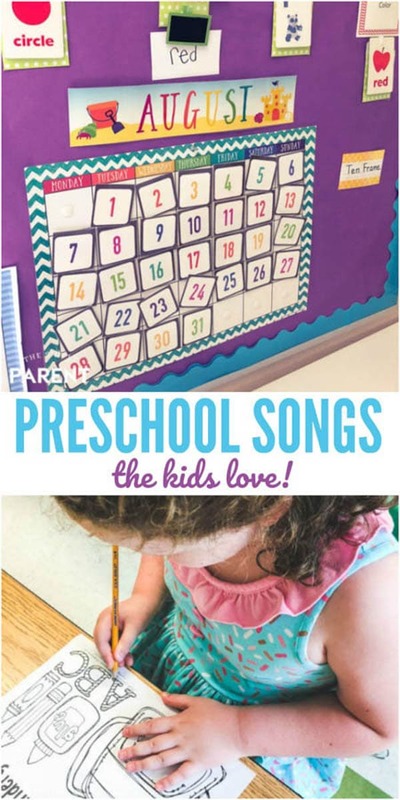 You might find that your kids love it and they definitely learn from the preschool songs too! 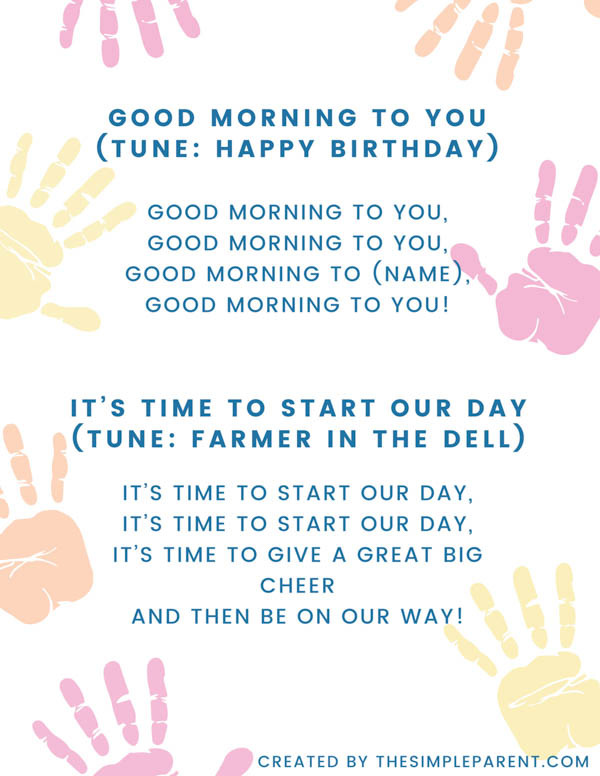 CLICK HERE to download your printable circle time songs. Things like mental flexibility, perseverance, and focus are also important. Music can be used to help build many of these skills and these are the types of skills that are addressed in high-quality early education. 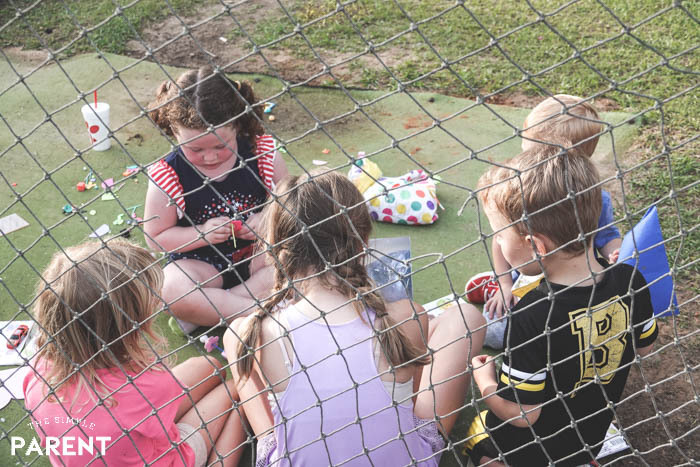 KinderCare is a great example of an exemplary childcare center that is dedicated to making sure our kids get the quality education they need while we work hard. A few weeks ago, I shared some of our tips on how to find a preschool that works for your family. I recently learned that KinderCare kids enrolled in kindergarten programs test at first-grade levels in math and reading. This was so incredible to learn! I also taught first grade for four years so I know what this looks like and it’s amazing. What a great start these kids will have! You can learn more about this and more early education topics at KinderCare.com! Nearly 100 percent of KinderCare Learning Centers are independently accredited which makes them a great option for busy families looking for quality early education!